It’s time to cut logs! In my opinion, splitting firewood is nothing special and looking so easy in the movies. Well, such a heroic pursuit might seem like that, but you need to do it right, or you could find yourself wasting time and making yourself tired or even worse than that. 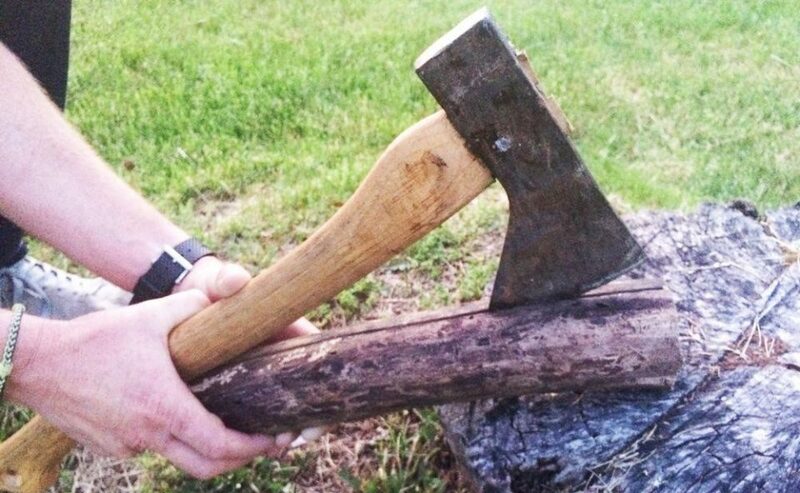 Here are the best safety tips to split firewood with your manly hands. Are you ready to unleash your inner lumberjack now? Whenever cutting or hewing it, you feel like burning it. And it’s so true since no matter whether you cut or split the firewood, this is the best method to work up a sweat (if you want). What an extremely rewarding experience you must go through! Let’s take a closer look at some great tips to guarantee your current job to get done fast and safely. It’s essential to prepare yourself with the proper suit and safety instruments whenever cutting the firewood. Make sure to dress you in labor boots, security goggles, gloves, pants and a long-sleeve tee. Once availing the chainsaw, it’s said to be such a great idea to put on your hearing protection with a facial shield. It can be either a maul or an axe, and be sure to use the best wood splitting equipment. The first one is heavier and owns a wider head than the second one, which makes it more beneficial to wood splitting action. However, for an axe, it’s able to work well for other smaller wood splitting tasks. Note that the key here is not about the sharpness because you’re not cutting the firewood or chopping it, you’re splitting it at that moment! You should know that seasoned wood tends to split better. Once the wood owns nails in it, just forget it. It’s so much curvy, hey, don’t mind. You’re properly not a safety expert, but at least trying to tackle with such unusual cases to ensure the accidents to occur. In case it has one knot in, skip it, particularly if it’s green. You then have to spend the whole day figuring out how to get through it. As the exception, you’re more likely to search for a line going through the central part that is not so close to any knot. So they can’t interfere. Go for the chainsaw that will help you trim every branch from the log. We suggest you all use a 16-inch chainsaw, which offers such a great combination of strength slicing speed and capacity without feeling too heavy. So right after cutting off the limbs of a tree, you might like to cut it into different pieces of approximately 16 inches long. This length will be perfect for all the fireplaces. But remember not to cut all the way through at once. At first, utilize your chainsaw to split a shallow groove at every 16 inches to highlight where you’re about to cut. To space them properly without busting out a tape measure, let’s think of your saw bar that is 16 inches as a guide. Lay the saw’s bar flat against the wood and make notes of where the bar’s tip might meet that log. Raise your saw and cut a brief and shallow groove on the mark. At this point, go to set the motor of the saw housing on the groove and then lay the bar on the wood before repeating. Keep doing in this way, use a bar to split 16-inch grooves into the whole wood. You need to avail that best chainsaw to cut 3-quarters of the way through the wood at every 16-inch groove. Do not try hard to cut all the way through it, or you will saw rocks, which can easily dull your saw. Instead, have the log rolled at 180 degrees and slice through the last one-quarter of one log. In terms of the safety tips to split firewood, the best equipment for your splitting job is a wood splitting maul or best firewood saw. Which appears like a cross lying between the ax and sledgehammer. These tools usually arrive in different sizes, consisting of the 12-pound steel heads, but we also utilize the 6 – 8-pound one. Use it to swing quickly or for longer duration without getting yourself tired. Aside from this, you might like to use one chopping block and a lifted surface to split the logs into the firewood. There must be a 16-inch log that is about 12 inches diameter. Come to set the block on the flat ground and stand your long log piece on the top of your chopping block. Try to set the maul’s head on top of your log and pose a stance with feet as wide as your shoulders’ width. Are you right-handed? Just hold the end of the tool’s grip with the left hand close to the hip. As for the right hand, hold the grip’s top below the head of your tool. Lift the tool overhead and once bringing it down onto the log, make sure to put your right hand down to the left hand. Emphasize on moving the equipment straight down across the central area of the log. Stop making the same mistakes like the others: Swing the maul in a curvy motion like the way a pendulum does. It must come down across the log and in an almost straight and upright line. Also, based on the log’s diameter, it’s best to split halves into quarters. At this point, stand another piece of log on top of your chopping block or any suitable surface before grasping your ax. This day could be a bit hard for you but absolutely a rewarding experience to enjoy. As the wood gets stuck in the axehead, TRY NOT to lift over your head when you want to hit the wood against the chopping block. That stuck wood piece properly falls off the axehead and possibly triggers your injury or death. Once targeting to take time to recognize that the swing is a bit forward of the area you’re aiming at. Try to aim slightly back from the center. 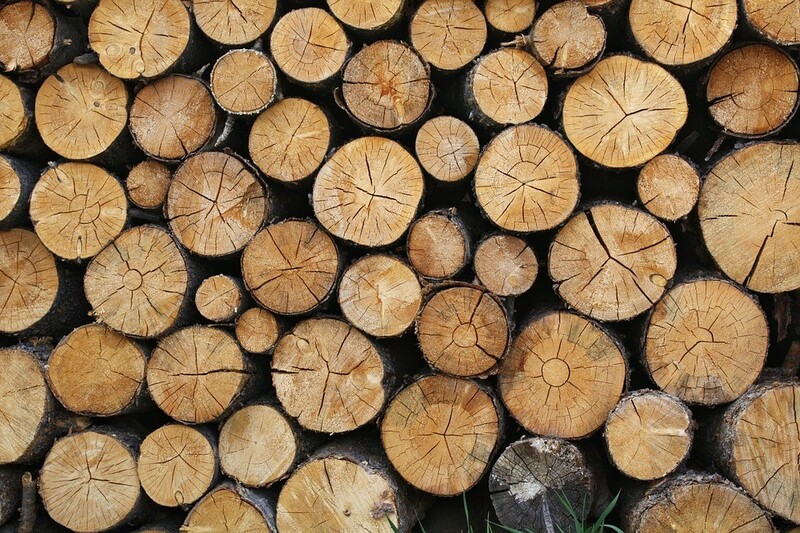 A few kinds of wood would easily split, especially when they do not contain a remarkable moisture content. For example, other sorts of wood, such as beech, black oak, and black birch tend to split easier whenever get wet or green. Once the axehead is stuck in the wood, do not try to twist it or use any side-to-side motion on the grip to help it escape. Doing that will be more likely to break or damage the handle-head linkage. Only pump the ax up and down in the orientation of your blade. A few other kinds of wood, like American sweetgum, pecan or winged elm/wahoo are all challenging to split for real. Only cut them no longer than the average length of the fire-box. All freshers always destroy or break the wooden ax handle or maul as the handle hits the wood during the split. However, by using the all-metal maul, you can avoid this issue. Pause immediately before you get so fatigued. It’s often the last piece of wood you chop that hurt you much. If splitting the firewood for cooking stove purpose, take time to have all sticks and kindling split. This makes things easier to begin a fire, and the cook would highly appreciate it! It’s occasionally facile to split every of the huge pieces by hitting the front edge of the log’s cutting face as opposed to hitting the cut face’s center. This could offer your swing a much better motion of splitting the edge, which tends to result in the whole log splitting process. With a sledgehammer, you can use it to drive the maul through the wood. Stop using it on the ax when this could make the head warp and cause the handle to get loosened. Note that both maul and ax stick to their handles in different ways. Watch out your stance so that in case the ax suddenly misses the target, the entire swing won’t strike any foot or leg. If you’re dropping down as lowering the ax, if it ever misses, the force can be directed downward and strike the block, not the shin. Check for it and never allow the bystanders to stand right behind you or just in front of you for a few distances. At this point, the ax could come off or its shaft properly slip out of hands; the results could become much worse than expected. Try NOT TO do this by yourself, but always have a mobile phone nearby so that you can always call for help. 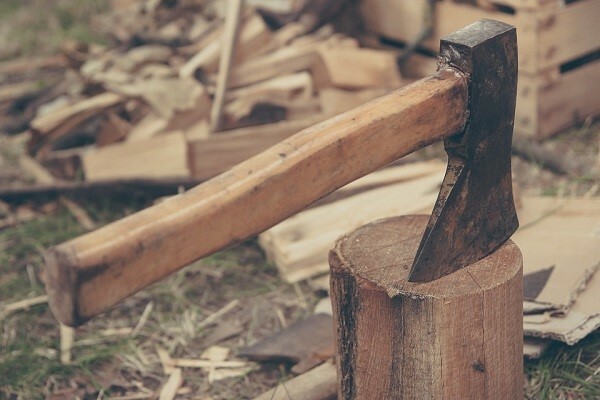 Last but not least, aside from these useful safety tips to split firewood, you must always learn to set yourself up for the ultimate accomplishment. And bear in mind that if you’ve got the lean arms and great technique, you’re able to split the food fast, efficiently, and even better than a bulky man swinging wildly and uncontrollably. Truly informative to ones like myself who will be a beginner. ?I will now go forth and cut wood. Thanks!